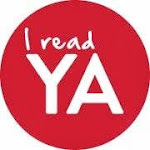 I spent last week fighting a raging case of Rather Be Reading Syndrome -- in which nothing hit the spot because I would have rather been reading Stephen King or George R. R. Martin. It happens. So I gave in. I returned to the Seven Kingdoms to find out what happens next for Jon Snow, Arya Stark, Daenerys Targaryen and all of the rest of the gazillion characters in the Song of Ice and Fire series. Yes, I've been watching the show and I swore I was going to read book two before season two aired. But I didn't. I'm reading it now. Because I'm dying to know!!! The Night's Watch, with Jon Snow in tow, has set off north of the wall while Rob Stark, the newly proclaimed King of the North, begins his trek towards King's Landing with the ultimate goal of defeating the Lannisters. Meanwhile, the Baratheon brothers have both claimed their brother's throne as their own, splitting the kingdom further. Friends have become enemies as the families of the land must choose which side to support. And in the East, Daenerys Targaryen continues with her plan to reclaim the throne herself. There's probably no way around spoilers. If you've not read any of the series or at least watched the first season, I'd hate to ruin the surprises. I think it's going to be harder and harder to be vague with descriptions the further in I get. And if you happen to be watching the show and have read the books, you'll understand when I say I love them both! There are small changes in the show. Characters and campaigns are combined to streamline the story into one season. To be honest, most of it makes perfect sense to me. I think it's a great testament to the writers on the show that they're able to remain so true to the original. And even though I'm caught up and know what's coming next, I'm still dying to go on to the next episode every Sunday night. The scope of the story is pretty spectacular. The worldbuiling alone is amazing. The Seven Kingdoms have a long and intricate history, which we see more of in the book than we do in the tv show. And of course the characters make all the difference. Each one is layered and rich in a way that makes them real. Good guys have the potential to do very bad things. Bad guys somewhat have the potential to do good things. Some of the characters walk a fine line, making me wonder just what Martin has planned for them in the end. This is a massive series. Epic as any epic can be and set to be a total of seven books, five of which are out now. So if I was to zoom through the next three books, I'd be stuck waiting a while to find out what ultimately happens. And if there's one thing I've learned from this series so far, the tide can turn in unexpected ways at any time. So I'm sort of reviving an old post here for a pre-pub post. How, you might ask. Well, I'm a huge fan of Christopher Ransom, a local (to me) author whose work is only pubbed in the UK these days. James Hastings is a Ghost. Not a ghost, ghost. A version of Ghost. Because of his resemblance to the mega rap star, James's job is to throw off paparazzi and make appearances when Ghost can't. But when James's wife dies in a freak accident, he decides it's time to retire. Embracing his old self but consumed by the loss of Stacey, a year goes by with James drinking away the time. Then things begin to change. A new neighbor moves in next door and with her, James becomes convinced that Stacey may never have left. Strange noises in the house, Stacey's clothes and shoes reappearing. And it all goes downhill from there. I loved this book! Ghost stories are super fun and Ransom threw in some twists and surprises in the plot that brought this book to a whole new level. 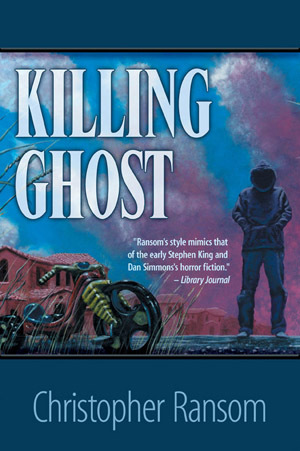 If you can get your hands on it, I highly recommend Killing Ghost/The Haunting of James Hastings: perfect rainstorm read, great summer chiller, and one that actually had me looking over my shoulder in the middle of the night! Horror fans, this is an author you need to be reading! Ransom's work is shocking and creepy and his direction never fails to completely surprise me. And here's the link to Cemetery Dance's order page for Killing Ghost. If you happen to be a UK reader (or are open to ordering from the UK), Ransom has a new summer release this year as well, The Fading. 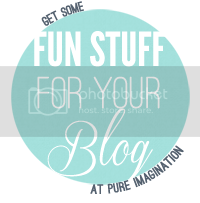 If you're coming from the blog tour, welcome! 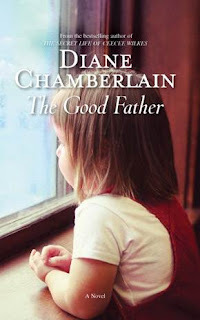 Below you'll find the next piece of The Good Father excerpt and the link to tomorrow's piece as well. If this is your first stop on the tour, you'll need to start from the beginning to get the whole excerpt. Go here, to see the full list of blog tour stops. A beloved daughter. A devastating choice. Four years ago, nineteen-year-old Travis Brown had to make a life changing decision. While his friends were out partying and meeting girls, Travis was at home raising his newborn daughter on his own – changing diapers and working to keep food on the table. But he’s never regretted his decision. Bella is the light of his life – the reason behind every move he makes – and so far, she is fed. Cared for. Safe. Bestselling author of The Secret Life of CeeCee Wilkes, The Midwife’s Confession, and The Lies We Told, Diane Chamberlain, returns with her latest and most gripping novel to date,THE GOOD FATHER, showing the great lengths a father will go to provide for his little girl. Just when Travis is at a loss for solutions, a job in Raleigh opens up with the power to change their situation. It has to. But upon arriving in Raleigh, there is no job, only an offer to participate in a onetime criminal act that promises quick money and no repercussions. With nowhere else to turn, Travis must make another choice for his daughter’s sake. Even if it means he might lose her. She'd had a dream about her stuffed lamb and wanted to tell me the whole thing, but all I could think about while I changed her into the cleanest clothes I had for her was, What if she's not there? On the phone yesterday, Roy had told me I was making the smart choice. "You can get rich doing this, dude," he'd said. 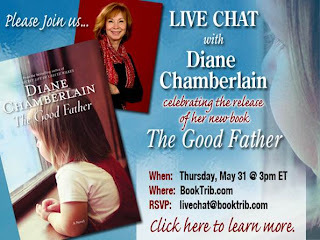 And don't forget, the blog tour will go through the end of May when you can join Diane in a live chat over at BookTrib! 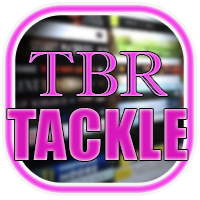 Big thanks to Booktrib and Media Muscle for letting me participate! Today marks the release of The Mongoliad, a collaborative fantasy release by Neal Stephenson, Greg Bear, Mark Teppo, E.D. deBirmingham, Erik Bear, Joseph Brassey, and Copper Moo. This is an interesting one because it actually began as an app project. According to the website, "... a community-driven, enhanced, serial novel..." now compiled into a formal novelization available in print (and ebook) -- as of today. So what do you get when you combine some of the foremost fantasy and sci-fi authors with a carefully plotted historical fantasy filled with fight scenes? The Mongoliad of course. Set in the 13th century, The Mongoliad centers around the Mongol invasion led by Genghis Khan's son, Ogedei, the Khan of Khans. A mixed group of warriors has come up with a plan to save their homes -- if the Khan of Khan dies without naming a successor, all of his officers will return to their homeland to name a new leader, freeing up the people of the lands they've been invading for so long. And so the group must kill Ogedei. Chapters alternate between narrators, including the Mongol point of view via a young man who has been sent to help Ogedei and the would-be assassins, mainly via Cnan, a Binder with excellent tracking skills -- and a woman. Each new chapter reveals a new thread of the plot. It is amazing to me that so many authors can work together to create a fluid piece of fiction. The Mongoliad also marks my formal introduction to said authors. Though I'm familiar with Stephenson and Greg Bear, I've not really delved into their individual works as of yet. I dabbled a bit with Stephenson's Baroque Cycle ages ago and couldn't hack it at the time. In The Book Rat's Book Chat discussion a couple of months ago, the subject was Buzz Words and Deal Breakers: things that draw us to and repel us from potential reads. One of my buzz words -- along with dystopian, post-apocalyptic, and many others -- is "gothic." In the true sense, gothic literature has a fairly defined set of elements. Today, you can (and I have) pick up any number of books being described as "gothic" and come up with something completely different in each one. The term "gothic" seems to have evolved into a something that's used to describe a certain style and atmosphere evoked by an author's writing. The gothic romance of the twentieth century -- Mary Stewart and Daphne du Maurier, for example -- retained some of the core elements while moving away from the horror aspect present in much of that earlier gothic lit. In truth, I'm a fan of almost every variation of "gothic" tale. Victorian style ghost stories and horror, Jane Eyre and Rebecca styled "romance" -- it all works for me. The key is atmosphere in my opinion. It is this atmosphere that is present in Susanna Kearsley's Mariana, a deliciously enthralling tale with a bit of a supernatural twist. A small inheritance allows Julia Beckett to purchase the home of her dreams. From the moment she steps foot inside the house, she knows that she is linked to its past. When she begins to experience things as a girl from the 17th century, Julia has to wonder if she's gone mad. But when she discovers that the girl was in fact very real, she realizes something much more strange is occurring. Kearsley's style is definitely reminiscent of that of Daphne du Maurier. There is no horror in Mariana, as the early gothic lit would promise, but the atmosphere and tone of the story does hold a hint of dread and something terrible in Mariana's past. At it's heart, Mariana is a satisfyingly romantic story about past lives and timeless love. Mariana was originally published in the early 90s and is a new re-release from Sourcebooks, who also published Kearsley's most recent titles, The Winter Sea and The Rose Garden. Next Monday is World Book Night and as a giver, I've chosen Stephen King's The Stand. I realized though that I've never ever posted anything about The Stand here on the blog. So here it is, my Stand (and King) story! I started reading Stephen King when I was about 13. My mom held out as long as she could -- she had a copy of Pet Sematary in her closet that I'd been begging for and drooling over for years. Though mom didn't read a lot, she had read that one and combined with the nightmares she associated with my having watched It on tv when I was 9, there was no way she was letting me read King just yet. I might add that this was the time when you could frequently find Stephen King commercials all over tv -- they just teased me even more. Side note -- It was not the cause of the nightmares. The shed with the open door outside my window was, thanks! Mom conveniently forgot to record the second half of the mini-series and it was years before I saw the whole thing. So, around 1992 a tree fell in the office. The office was my grandfather's old house and the tree landed on the closed-in porch. Through a series of events that are still not completely known to me, they decided to sell the house (the buyer was going to move it off the property to a different location) and us kids (me, my brother, and my friend) were tapped to help box up and clean out. Lo and behold, there was a copy of 'Salems Lot on the bookshelves (my grandmother was not a King fan), so I happily trotted up to mom and said it was mine now. I convinced her to hand over Pet Sematary and found a copy of Firestarter as well. And so my King reading began. Maybe too early. Of the three, the only one that held my young teenage interest (I finished them all) was Firestarter with its child protagonist. So I set aside my King obsession for about a year. End of freshman year in high school, a friend loaned me the doorstopper hardcover edition of The Stand. I lugged that monster around in my backpack all by its lonesome. I toted it around the house, I read it over the side of the bathtub. I was entranced! I finished it in a week. This was the right book and I came to it at the right time. And I became a King geek. As a bookseller, my coworkers would giggle anytime anyone would come in asking about King. I could talk your ear off about him. I have no end of recommendations for any kind of reader, but King is my all time favorite. And so on Monday I get to hand out 20 copies of The Stand and I hope that I get to play a part in inspiring some new King fans and rabid readers. I'd like to welcome Zoraida Córdova to the blog. Zoraida is the author of the upcoming book The Vicious Deep, out May 1 from Sourcebooks Fire. With THE VICIOUS DEEP, you've built a world filled with all sorts of mythological creatures. How and why did you choose mermaids as your main focus? I think mermaids lend themselves well to coming of age. They are part of two worlds. When you're 17 and on the brink of such changes, sometimes it feels like you just don't know where you fit. For Tristan, it's literal. Besides, mermaids are just cool. Who are some of your favorite merfolk throughout literature/mythology/film history? One of my favorite novels growing up was Sirena by Donna Jo Napoli. It made me realize that I could write a mermaid novel. I recommend it to fans of Greek mythology and love stories. I once read a post where a selkie author talked about how selkies are way cooler than vampires. So same question to you, tell me how mermaids are cooler than all the other supernatural beings out there and why they're the next big thing. I didn't consider them the next big thing when I was writing the book. I think it happened by accident. What are the chances that all of these authors shopped their mermaid novels at the same time? It's crazy right? Mermaids have always been more mysterious than other supernatural creatures to me. Partly because they haven't been done to death. But also because there is so much in the sea that hasn't been discovered yet. What sort of offering would you bring if you were meeting The Sea King? Bacon. Because if Tristan had been thinking clearly, he would've done the same thing. When is book two set for release and any hints as to what readers can expect? I believe The Savage Blue is slated for Spring 2013. Let's just say Tristan couldn't even see this coming. What tips do you have for someone trying to break into YA? Read. It's that simple. Reading accomplishes two things: craft building and market knowledge. A huge, huge thanks to Zoraida for the q&a and for Sourcebooks for helping set it up! I am super excited to be participating in Zoraida Córdova's Bloggers of the Deep blog tour! Check back tomorrow for the official stop -- a Q&A with Zoraida! And I know The Vicious Deep is not out until May 1 (mark your calendars) but I wanted to go ahead and post my review this week as well. So here goes! The storm came from nowhere, the sky rumbling with sudden clouds and a massive wave looming over Coney Island. In the midst of all of this, Tristan Hart sees a girl and -- without a second thought -- dives into the tumultuous waters. Three days later he washes up on shore with no memory beyond jumping in to save the girl. From this moment on, Tristan's life is forever changed. Tristan discovers that he is part of a long and noble line of merfolk, a direct descendant of The Sea King himself. In fact, the only male heir. And the race is in trouble. But is Tristan the right one to save them? First off, Córdova truly captured summer in this book. I could taste the salt spray and I really wished I was on a beach somewhere with a fruity drink while reading the book! This first in the series is fresh and fun. A totally original teen paranormal featuring merfolk like you've never seen them before. Córdova's writing is witty and snarky, her plotting is smooth, and her characters are really unique, aside from the typical teen things like girl issues and boy issues and high school. And of course, a cliffhanger of an ending. See there's a quest and Tristan has to find some things, all very Greek mythology in feel. Some action, some romance, such a fun read! So don't forget: put The Vicious Deep in your must read list! Mark your calendar for May 1 (or pre-order from your favorite place). And come back tomorrow for a Q&A with the author herself! It's 2083. Chocolate is illegal. Caffeine is illegal. And any number of other things have been outlawed as well. Anya Balanchine is the daughter of a well known crime boss and trader in chocolate. Anya knows all too well the dangers of being a Balanchine: her mother and father are both dead and her brother has been irreparably damaged thanks to a botched hit attempt years ago. Now it's up to Anya to make sure her family stays safe. She does this by distancing herself from the Balanchine family's activities as much as possible. But when her ex boyfriend is hospitalized after eating a poisoned Balanchine Special Dark bar, Anya finds herself directly in the middle of the whole ordeal. Making matters worse is her budding relationship with the Assistant District Attorney's teenage son. Gabrielle Zevin's All These Things I've Done is a truly unique twist on so many classic elements! Mob families, Romeo & Juliet, the challenges everyday teens face... all in a futuristic and slightly dystopian setting. I say slightly because although the government definitely has a big brother feel here, it's more an element of the setting rather than a major plot point thus far. Given the progression of the ADA's role in the story, I'd expect more government issues to come. The narrator, Ilyana Kadushin, is a good choice here in my opinion. She sounds young and since Anya is the narrator, often breaking in to talk directly to the reader, Kadushin sounds right for the part. She also makes an effort to differentiate between characters "speaking" in the narrative, as well as male and female voices, and does this successfully for the most part. All These Things I've Done is the first book in the Birthright series. It'll be interesting to see Anya's character progress. She's dealing with a lot in All These Things I've Done, including her anger and other issues that would be spoilers. All These Things is available now in hardcover and on audio. The paperback edition is due out May 8 and book two, Because It Is My Blood, is due out in September. Henry Marco makes his living tracking down the dead and returning them for their loved ones. For... not to. It's 2018, four years after the outbreak of The Resurrection, a zombie plague that left everything west of the Mississippi a virtual wasteland. US citizens were evacuated to the Safe States and have remained there ever since. Jobs are scarce, resources are drying up, and laws are meant to keep everyone in their place. And while the evacuation was going on, Henry Marco hid out in his house waiting. Waiting for his wife to come back one way or another. If you're missing someone in the Evacuated States, chances are they're dead. But the dead do not rest since The Resurrection. Now the government wants Marco to find and return someone. Someone Marco once had dealings with. Someone who may have made an important discovery about The Resurrection. This is the basic makeup of V.M. Zito's debut, The Return Man (out now from Orbit), a dark, action-packed, post apocalyptic(outbreak) zombie thriller. Course there's more going on. The government doesn't entirely trust Marco to get the job done and they haven't provided all of the information he'll need. But the man who shows up to help Marco isn't quite what he seems. And that's my one down side to the book. See, I really liked Marco. He's an ex-neurologist, so his insight into The Resurrection and his knowledge of the zombies, plus what he's made of himself, are super cool elements that drive the story. When Wu's narration cut in, it always felt like an abrupt break from the story I really wanted to continue with. And because I didn't like Wu, I never did get used to - or settle into - his parts of the story, just anxiously waited to get back to Marco. As an aside, switching narrators isn't usually a problem for me. I really just didn't care for Wu. Anywho, The Return Man is perfect for zombie horror fans. It does offer up a little bit different perspective and a bit of a different spin. The Return Man is especially perfect for folks anxiously awaiting Mira Grant's latest (out from Orbit in June). My reading list has been all over the place of late, just about every flavor of paranormal (demon hunters, mermaids, zombies) and some chick litty stuff as well, so it only made sense to follow up with some vampires. 1920s vampires to be exact. Alaya Johnson's Wicked City hits shelves this Tuesday, so I've back tracked and am reading the prequel (the first book in her Zephyr Hollis series), Moonshine. In ALAYA JOHNSON’s amazing debut novel MOONSHINE, readers were captivated by Zephyr Hollis, who on the surface seems to be a typical inhabitant of Prohibition-era Manhattan. She’s a transplant from the ranches of Montana, who teaches night school to the underprivileged of the Lower East Side. She’s extremely socially conscious—you can find her volunteering in soup kitchens or delivering blood for the blood bank. However, you can also find her fighting for the rights of the Others that inhabit New York. These Others are otherworldly creatures, most notably vampires, that live among the human inhabitants. However, like everyone in the crowds of New York City then and now, Zephyr carries many secrets—secrets that protect her but could also very well cost her life. And Zephyr won out over George R. R. Martin! I'm still planning to dive into Song of Ice and Fire book two, but considering how many great things I've heard about Johnson's series, I figured it wouldn't hurt for the Starks to wait just a tiny bit longer. For more on Alaya Johnson, Zephyr Hollis, visit Johnson's website (link above). And for Moonshine excerpt to get you started, go here. I think I've expressed my love of witchy books here before, but I'll continue to do so as long as folks continue to write them. Like all books and all kinds of characters, there are so many different angles. Witches can be evil or altruistic, they can be manipulative and sneaky, or they can be mild tricksters. There's an array of possibilities. So what do you get when you combine Desperate Housewife-esque suburbanites with devil worshipping witchcraft? The Thirteen by Susie Moloney of course! Paula's mother sent her away from Haven Woods over a decade ago. Now, broke and jobless, she and her twelve-year-old daughter have received word that Paula's mother is very sick. And so Paula drags her daughter back to her hometown for a visit. While there, Paula runs into some old acquaintances, including a possible new love interest. But Paula should beware Have Woods. Something dark has been waiting for Paula to return. Something that will put both her and her daughter in grave danger. Moloney has an interesting style, throwing in character's inner thoughts in between the regular narrative. It's an interesting layer added to the story itself even if it is used sparingly. It's an element that makes Moloney unique, at least in my reading experience. The Thirteen is dark and twisted indeed, but also has a sharp and sarcastic tone that makes it an utterly delicious read. And though this is not Moloney's debut, nor is it her first release stateside, it is my introduction to Moloney's work and I do hope that it will be the first of many new releases from her. In the meantime, I've got a backlist copy of The Dwelling currently waiting in my TBR stack. The Thirteen is out now in paperback.